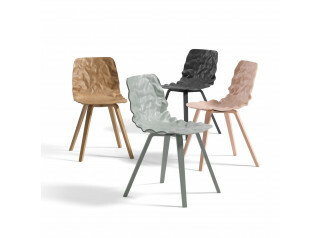 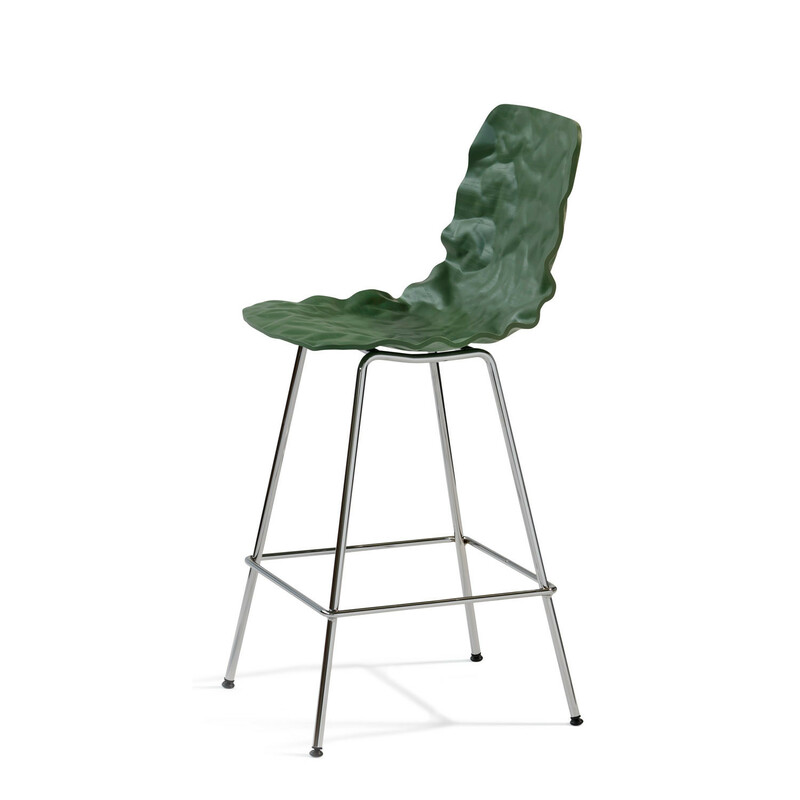 Dent Bar Stool B502-65 is a contemporary low bar stool with an eye-catching and unique rippled wood effect. 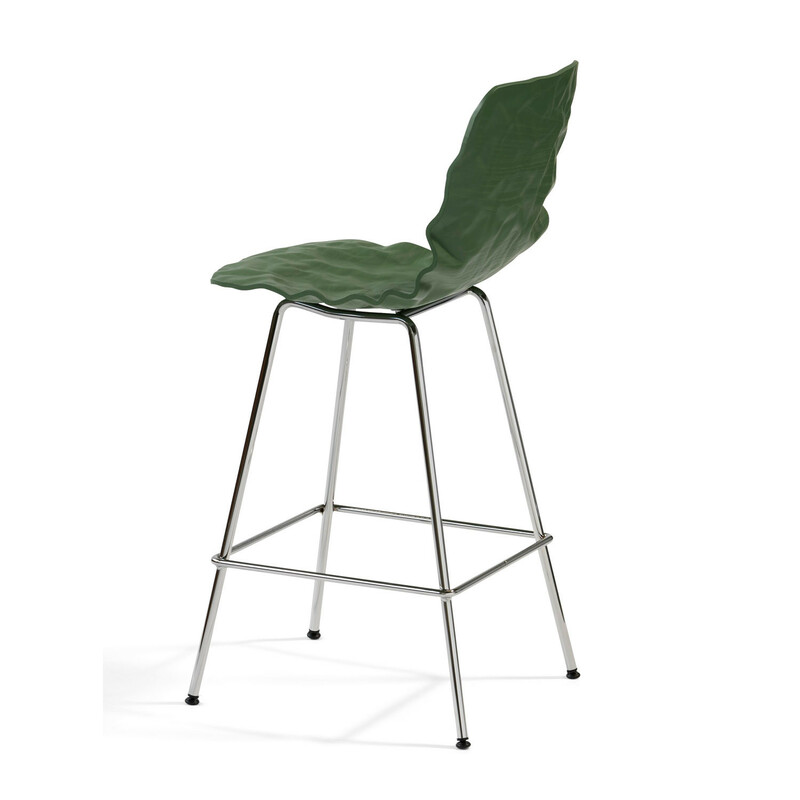 Ideal for breakout areas, canteens, and restaurants with bar height tables, Dent Bar Stool B502-65 is the innovation creation of design duo o4i. 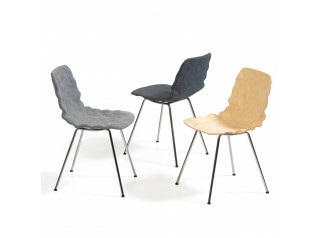 The question they posed was: how can you 3D-form an ordinary veneer? 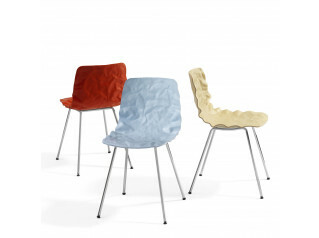 They answered the question with the Dent seating series and made the seemingly impossible possible. 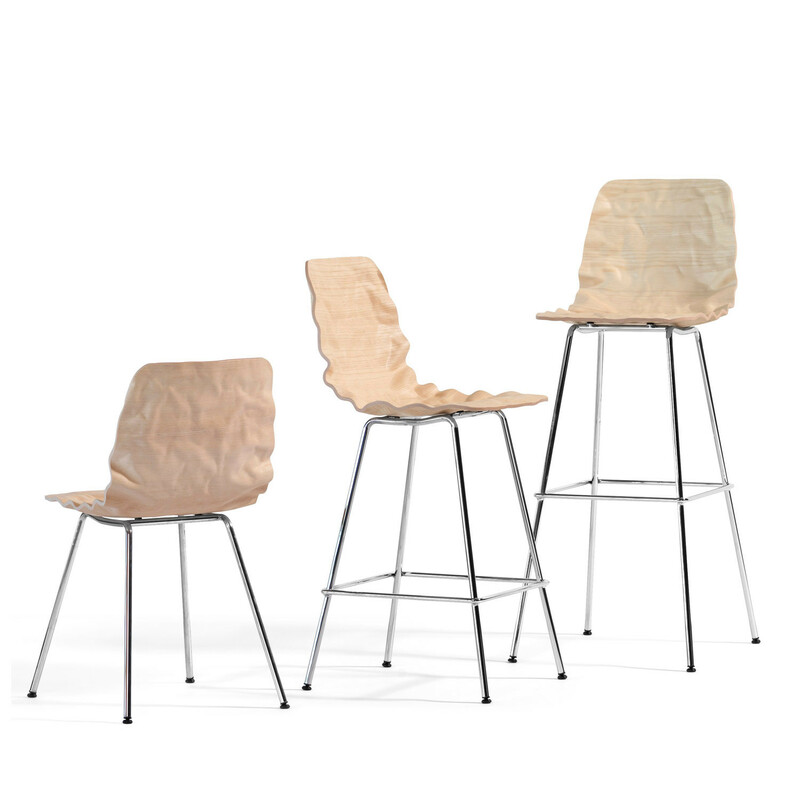 Dent B502-65 is a bar stool in layer-glued compression-moulded ash wood. 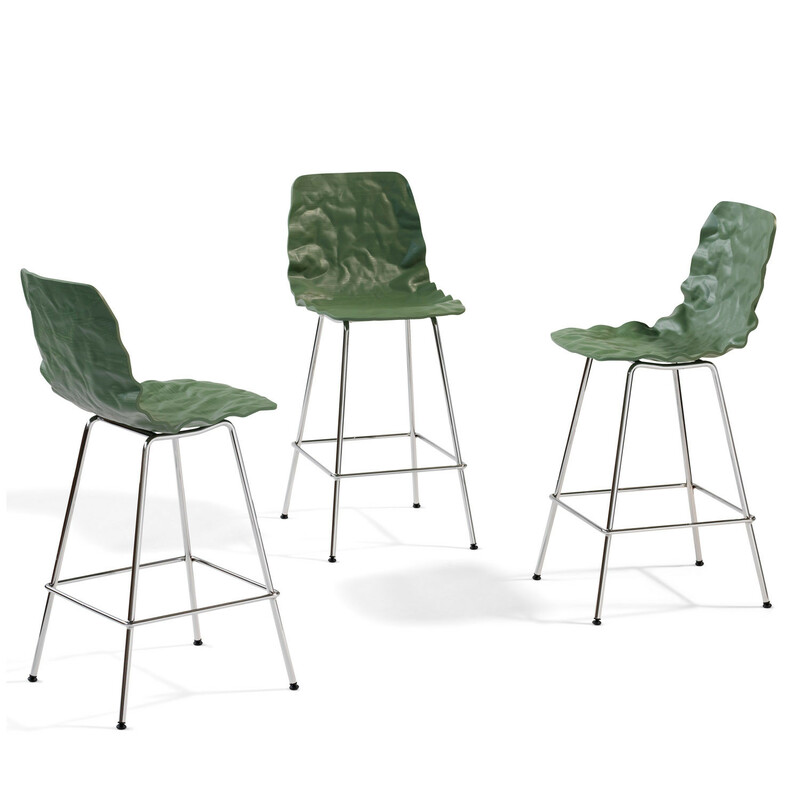 Made out of ordinary veneer, it is available stained or naturally lacquered with frame in green chrome, chrome III or lacquered steel. You are requesting a price for the "Dent Bar Stool B502-65"
To create a new project and add "Dent Bar Stool B502-65" to it please click the button below. 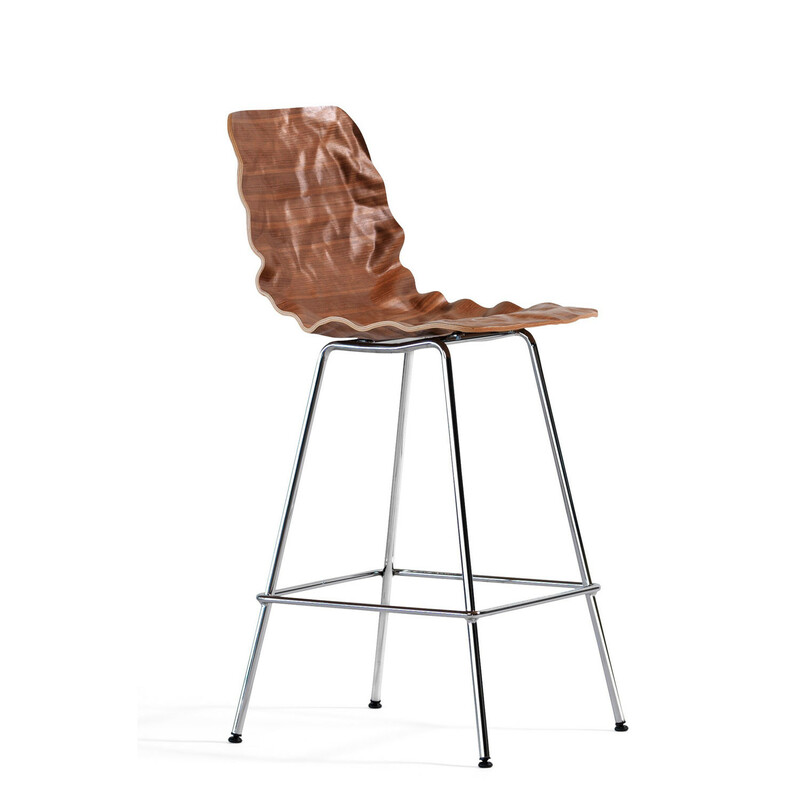 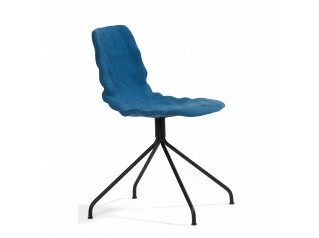 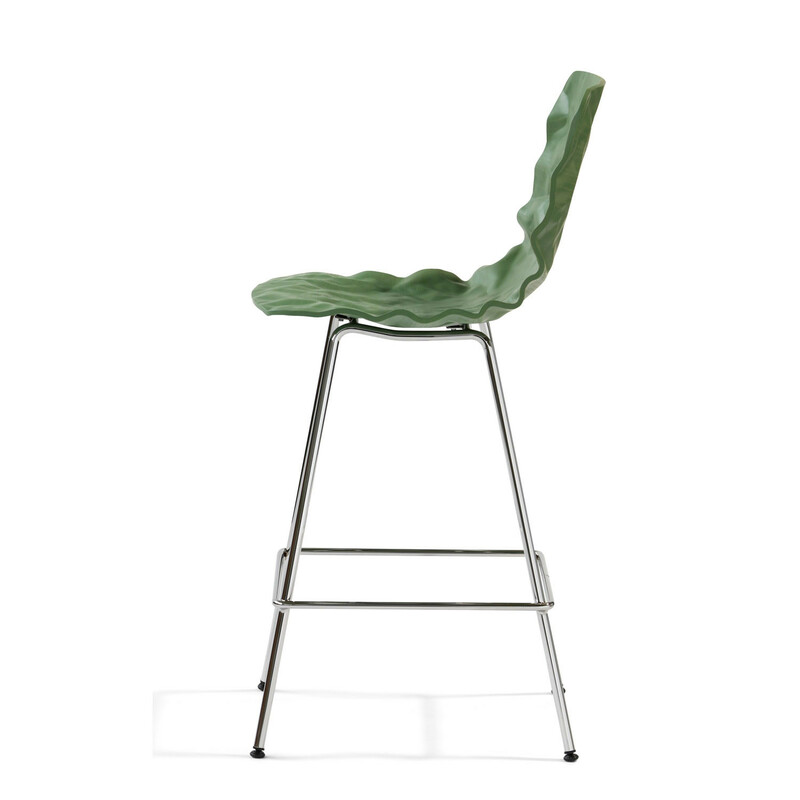 To add "Dent Bar Stool B502-65" to an existing project please select below.